UPDATE: YouView confirms launch delayed until 2012 | What Hi-Fi? 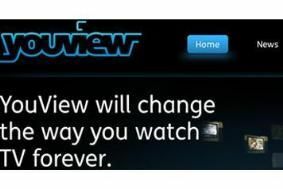 YouView has confirmed that the service will go on trial later this year before launching in 2012 – a year later than previously scheduled. The internet TV (IPTV) venture, backed by the BBC, ITV, BT, Channel 4 and more, aims to deliver a set-top box for catch-up and digital TV services. YouView also confirmed that it would imminently publish its core technical specifications for launch products. YouView CEO Richard Halton says: "Our focus has always been to deliver a product to consumers that is right, but not rushed. "Creating a truly open TV platform that will bring consumers increased choice has required significant technological innovation. Our timings for the launch reflect the scale and complexity of this project." Project Canvas has today been unveiled as YouView. The internet TV venture for Freeview and Freesat has been launched as YouView and given a brand new website. All set to go live in the first half of 2011, the service has been developed by the BBC, ITV, BT, Channel 4 and more, and will give access to Internet catch-up TV services alongside digital TV from a YouView set-top box. "YouView is a brilliant new subscription-free TV service which combines the best TV with on-demand services and internet content," says Richard Halton, the newly-appointed CEO of YouView TV. "I am delighted to be leading the team who will make it a reality and think it will change the way we watch TV forever." For more details on the story, see our original news story below or head over to the new YouView website. The BBC Trust has today approved the BBC's involvement in Project Canvas, its internet TV venture designed for Freeview and Freesat, subject to certain conditions. Project Canvas is a joint venture between the BBC, Arqiva, BT, Channel 4, Five, ITV and Talk Talk to develop a single standard for on-demand internet TV viewing via a broadband connection. It's expected to go live next year, under the name YouView – a hybrid of YouTube and Freeview. Diane Coyle, a BBC Trustee and chair of the Trust's strategic approvals committee, says: "The Trust has concluded that project Canvas will deliver significant public value for licence fee payers – people with a broadband connection will be able to access a wide range of on-demand content including BBC iPlayer, free of charge, through their TV sets. "We have however applied a number of conditions to the BBC's involvement in the venture in recognition of the potential impact on the market if Canvas is successful." The conditions include obliging Project Canvas and its partners to engage with manufacturers and the industry on the technical specifications of the set-top boxes. The specification must be published within 20 days from today. In addition, viewers must always be able to access free-to-air content, though they may be charged for additional pay-TV services that third parties may choose to provide via the Canvas platform, such as video-on-demand services. And the BBC's involvement must not exceed the BBC Executive's estimated costs by more than 20 per cent over a five-year period. The Corporation estimates that the cost of Project Canvas over the first four years, including launch and development costs, will be £115.6m. Back in May, the OFT gave Project Canvas clearance, despite criticisms of the plan by leading retailers and manufacturers.